Note: We may have several Work/Trade Positions open for the fall course. To be clear, we will be delivering the full Permaculture Design Certificate Course Curriculum. It is the same training we deliver everywhere but while on Jordan's farm we will be able to give students front-row access to key aspects of this operation as well as sharing the progress being made on the implementation of our evolving permaculture design. Above: The first 320-acres of the farm allocated to be permaculturally designed. Some of the livestock you will meet on the farm. The diversity brings a polyculture of benefits. PDC Course Touring the farm on the hay wagon. Students filling their freshly built hugelkultured swale with water to see how it performed. They got it perfect! In late fall of 2014 we started to work with Jordan and his team to develop a truly permaculture farm. This project will take most of a decade to fully implement and then another decade to fully mature. We hope you can join us at some point as this exciting and very worthwhile adventure unfolds. For anyone who is in the early stages of designing their own permaculture farm or small homestead (or even your backyard) this PDC course would likely be invaluable to you. 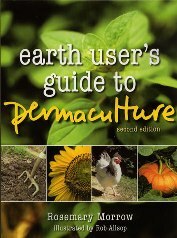 "From the very first time I was introduced to the concept of permaculture I knew it was truth personified. In my quest to take my organic farm to new heights of abundance I reached out to Midwest Permaculture. In October of 2015, we hosted our first Permaculture design course with Bill and Becky. The week was truly transformative for the nearly 35 attendees especially our own team. We look forward to hosting several permaculture science and organic gardening courses each year and I encourage anyone who wants to join the revolution of regeneration to attend a course with Bill and Becky at our Heal The Planet Farm or anywhere their course is available. I can't imagine two better teachers to share this amazing subject material." Learn more about Jordan, his book, and his life's journey further down the page. What Exactly Will Be Covered in the PDC Course? At this PDC we will pull out the farm's 5-shank keyline plow (a rare piece of equipment) so everyone can get a good look and understanding of just what this piece of equipment really does. By itself, we estimate this plow can increase the initial water-holding capacity of most pastures or fields by 2-8 times after a single pass. With other techniques added to this we can double it again. We'll explore and discuss these various methods together. Here is a side-by-side comparison of before and after keyline plowing. If you were a droplet of water, which side are you more likely to soak into? Students will also get a close-up look at this year-round greenhouse which is heated in the winter with a thermal-mass rocket stove. We will light it up so everyone can get a good understanding of how it works. Bill Wilson will be leading this training. Bill is a recognized and respected permaculture teacher/designer with almost two decades of experience in designing, teaching and applying permaculture. He is the co-founder of Midwest Permaculture along with his wife Becky. Having hosted over 80 PDC courses, there are now 1600+ Midwest Permaculture Design Certificate Course graduates in the US and around the world. It is important to us, and to Bill, that the full PDC curriculum be covered so although the farming aspects of this training may be emphasized, they will be held in perspective so that students receive the full PDC Course. Whether one plans to design their farm or homestead, develop their own yard, create a community project or even start a meaningful and profitable business for themselves, this permaculture design course will be extremely helpful. Permaculture is about how to design productive and nurturing systems that stand the test of time and support people, community and planet. Some people even make design changes to their personal lives following a PDC. Click here to learn more about Bill - includes a couple of videos. These pre-training materials will prepare everyone for the on-site portion of the training and are part of the full PDC curriculum. Students will want to allow plenty of time to savor these materials and anyone can begin now if they are ready to register. Certification requires that we cover the entire curriculum so students are expected to complete the pre-training webinars and readings and then come ready for the on-site portion of this training. Most mornings start promptly at 8:15 and we will end each day by 9 p.m. This training is an immersion into permaculture and in order to cover the full curriculum while adding in the exposure to many of the unique features on the farm we have something happening every morning, afternoon, and evening. Although we go into the evenings, the training elements are well paced and the evening learning experiences are fun and usually active. There will be random breaks and nice-long breaks for lunch and dinner. Since the farm is located fairly remotely, you may arrive on Friday afternoon (anytime after 4:00) so that you can get situated and relax before the course officially starts on Saturday morning at 10 a.m. Otherwise students may arrive anytime after 8:00 a.m. on Saturday morning. Your first official meal will be Saturday lunch so if you do arrive on Friday be sure to bring something for dinner and breakfast. If there are enough of students arriving early, a potluck dinner and breakfast can be easily organized. Departure: The training officially ends at noon on Saturday. A light lunch will be served, leaving the remainder of the afternoon for students to pack up and head home. Please plan to stay to the end of the training at noon. We have meaningful content right to the end. More information about arrival, check-in and other details will be shared with registered students in the weeks leading up to the training. Get ready to eat some wonderful food, much of it from the farm! The price of registration includes all meals from Saturday's lunch on the first day to Saturday's lunch on the final day. The meals will be prepared for us with many foods coming right off the farm. Your days will be full so we want everyone to be well fed and comfortable. Meat will be served at most meals but a vegetarian option will always be available. If you consider yourself to be vegan or have a restrictive diet, let us know early on. We will do our best to accommodate, but you may need/want to bring some of your own favorite foods--just in case. So you know, there are no grocery stores within 20 miles of the farm. We will feed you well at meals and there will be additional refreshments available to you most of the time, but if you want something in particular you might want to bring it with you. There is plenty of space near the dinning hall and classroom with immediate access to bathrooms and showers. Students must bring their own tents and other gear. Please note -- Students have all of their meals provided (so you won't be cooking or washing dishes at your tent) and our days are full so you won't be spending much time at the camping area. For the most part, you just need a place to sleep so this is pretty simple camping and it is a free perk of the course to help keep our students expenses for the training to a bare minimum. On Heal The Planet Farm there are simple apartments with motel like rooms available to students. They are located within a short walking distance of the classroom and dining hall so are very convenient. Each room has has either two queen or two double beds (linens are provided) with a private bath. Several have a small kitchenette. (Most students will not need or use a refrigerator but should you have a special need, please let Becky know when registering.) Students can reserve a room when registering for the course. We'd like to do what we can to minimize the collective carbon footprint of everyone traveling to the course. To support some ride-sharing we will have a section set up on the course networking page. For registered students you will be able to network to find out who needs a ride or who is able to share space in their car. The picture below shows the approximate location of the farm. It is about a 4-hour drive from both St. Louis and Memphis International airports. We will give registered student more accurate travel directions to the exact farm location before the course. About 4 weeks before the on-site training begins, students will receive more information concerning what to pack, when and where to arrive and other such details. For all PDC trainings, students work on several designs in small groups. This is a requirement of certification. The projects selected will be determined by the instructors but there will be time for students to work on their own designs. Personal Design Projects: If one of the reasons you are taking this training is to learn the skills necessary to create a permaculture design for your own home or property, we invite you to bring information about your site to the training. For example, bring a sketch of your property in fairly accurate proportions and/or an aerial view photo or map, a plant list of what is on your property now (does not have to be exhaustive – what are the dominant species – place them on the sketch), note the sunny and shady parts of the property and what direction is south. You should also be as clear as you can be about what your current dreams or visions are for the property. There will be some time in the latter part of the course where individual projects can be explored. Certification: Students who complete this design course will receive a 'Certificate of Completion' from Midwest Permaculture which in the permaculture tradition allows you to use the word 'permaculture' in the promotion of your work or business. Graduates may offer workshops, lectures and design services. Click here for more on certification. If you landed on this page and happened to have missed the full course description, you might still be wondering what is actually covered in a certification course. If so, Click Here. You may pay in full when you register or a $350 deposit will hold your seat while granting you access to pre-training materials. To receive the early registration discount the course must be paid in full 60 days before it begins. Should a student have to cancel their enrollment in the course up to 30-days before the on-site portion of the course begins, there is a full refund less $250. Student retains access to webinars, keeps the course handouts and text book, and receives a full $195 credit towards any future Midwest Permaculture design certification course. If a student cancels within the 30-day period before the course there will be a full refund less $350 and the student still receives a $195 credit towards our design courses. The credit is good for up to three years. There are no refunds for cancellations or for withdrawals once the course begins. However, in certain circumstances, we may extend partial credit towards a future design course. Graduates may audit any future 72-hour certification courses at half price (provided space is available). We offer a 33% discount to students who have already received their PDC Certificate from another recognized course (from anywhere in the world) who wish to take one of our courses as a refresher. Please email for details. You are welcome to email Becky or call her at 815-256-2215. You may also voice-mail or text us at 815-782-2216. In his first book, Jordan shares of his miraculous recovery from being near-death at the age of 19. After seeing 60+ doctors and being sent home to put his affairs in order, Jordan turned to the bible and his own faith for healing. By asking the question, 'what food has God placed before us to eat?' and then following the answers supplied in the Bible, history and science, his health began to turn around and in just 40 days he felt like a new man. After recovering from his illness, Jordan realized that way too few people knew that good food was really our best medicine. Even the majority of doctors were profoundly unaware. To fill this gap Jordan wrote "The Maker's Diet" which became a New York Times best seller. Jordan has shared his message of health and hope all over the world with his belief that good health comes from clean-healthy food, which comes from clean-healthy soil, air, water and the sun. This being the case, it begs the question, where do we in our Western culture find clean-healthy foods? Which large scale agricultural producers and chain store super markets carry clean and healthy foods? The answer: Almost none. This is were the search for real healthy food meets with permaculture. What Led Jordan to Permaculture? Permaculture is all about growing the healthiest foods possible by working with nature, not against her. It's also about finding ways to produce this food in economically viable ways by designing growing systems that reduce work while increasing yields. And all of this must be done while developing healthy soils. Permaculture is built upon the precedent that healthy food is only possible when grown in whole, alive and healthy soils. So Jordan's search for growing the healthiest foods on the planet led him right to permaculture. He contacted us in September of 2014 asking if we would consider working with him and his farm team to totally transform his farmland. We are delighted to be working with Jordan and his team. This is the entrance into the heart of 'Heal the Planet Farm'. The classroom and dining hall are the low buildings, center and on the right. The first PDC course held here on the farm was in October, 2015. On day #2 students boarded a hay wagon to tour the farm with Jordan (right). An enjoyable way to see much of this 4,000 acre farm. When we reached the cattle herd it was fascinating to watch how the animals seemed to be so comfortable around Jordan, and he with them. Jordan and his farm team are developing a unique, dual-purpose herd. This little guy is half Bos indicus "Brahma" and half Bos taurus "Jersey." Even Jordan's children seemed to have a familiar relationship with the animals, in this case, the goats. Free-range chicken means just that here. These lovelies have the run of certain areas of the farm and lay wonderful eggs. Not far from the livestock we stopped by the corn patch that also provides the support structure for a full crop of vining velvet beans. In permaculture we call this layering and stacking functions. Velvet bean is considered a superfood. Having some medicinal qualities as well it is included in several of Jordan's supplement products. Kevin Kepplinger is the Heal The Planet Farm manager. As a competent and experienced farmer he bring a high level of expertise to the permaculture changes that are slowly being implemented on the farm. Also found of the farm is a free flowing spring of crystal clear water that bubbles out of the ground at 55 degrees. When we visited the spring Jordan took a some time to share a bit about his own personal journey and what the farm and 'caring for creations' has come to mean to him. The classroom at the farm is simple but light and spacious. Here students are working on a short individual-design exercise. Bill is working with a group on a design exercise while Becky works with another. Students working on a small team project. Having already learned about the many benefits of swales and how to find contour on the land so one knows where to place them, students now have the opportunity to mark and dig a swale of their own. Since this swale will also contain a hugelkultured mound, large chunks of logs are laid into the bottom of the berm before back-filling. This hugelkutured swale will now significantly increase the growth potential of anything planted on or near it. Here is a short video that explains this more fully. Here is one of several longer swales we have cut across the farm to begin to hold water on the landscape as it once did when it was still covered with oak trees and other vegetation. This video will give you a quick view of how these swales were cut in very short order. And this link will take you to our blog post that explains the entire swale cutting process more fully. Here is what the swales looked like several months later. All and all, this was a wonderful course. The students loved it, we loved it, and Jordan and his team loved it. Jordan's son, Josh (front left) became our youngest PDC Course graduate by attending every class session and participating fully in each design project. He fully earned his certificate. Josh is age 11 and our eldest was 59. This course speaks across demographics. This is a course for the human species; for any person who yearns to live abundantly well while also leaving the planet in better condition when they leave. We'd love to have you at our next trainings. Welcome.